GALION — It’s the start of a new season for Galion High School soccer teams, and in their third year of existence, there are a few notable changes. Eric Palmer, formerly the coach of the Lady Tigers squad for their first two seasons, will now be the leader for the boys team. First-year coach Kathryn Nutt will take over leadership of the girls team. 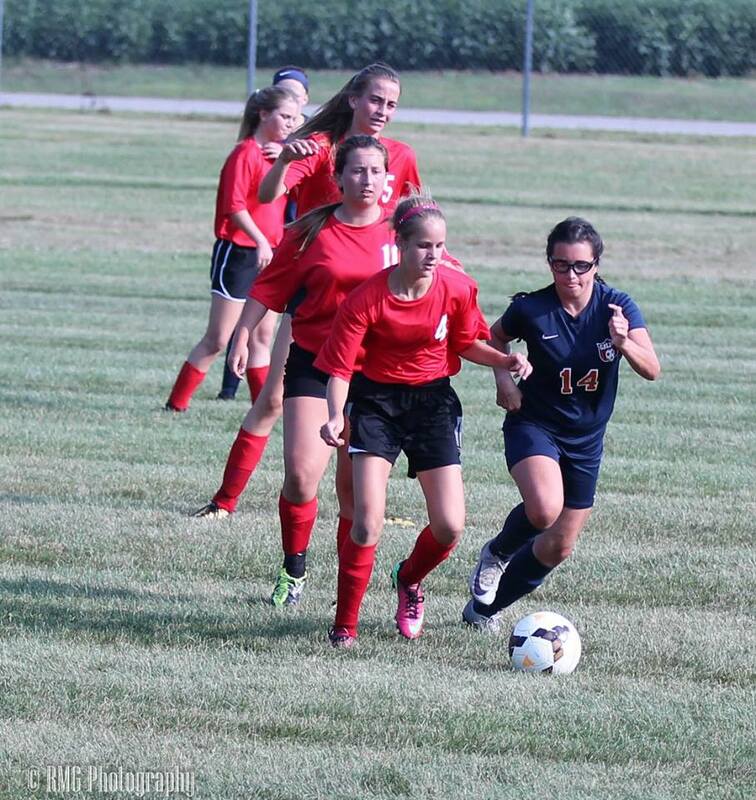 A season ago, the girls’ squad won the first game in program history and did so during Galion’s first-ever home contest, beating Highland 1-0. Later in the season, the Tigers would pick up win number two for the program by defeating the River Valley Lady Vikings in a non-conference pairing. Overall, the Lady Tigers finished at 2-14 and were 0-6 in official Mid-Ohio Athletic Conference contests. But more experience and improved skills should make the Tigers better this season. “We are hoping to be competitive in the league this season and continue to improve upon the last two years and to keep growing as a program,” Nutt said. Most of last year’s roster is back for Nutt in her first year coaching. Allison DeNero graduated. Drucilla Singer earned second-team all-conference and all-district honors in 2017 after finishing second in the conference with 167 stops as Galion’s primary goalkeeper. Katie McDonald, Courtney Throckmorton and Destiny Yoder are also all back after earning all-district honorable mention status last season. Other returning letterwinners include Natalie Hornbeck, Chelsea Hoffman, Emily Saunders, Kate Wildenthaler, Hannah Snyder, Celeste Nunez, Leah Hall and Amber Twigg. Also looking to make an impact on the pitch for the Lady Tigers are sophomores Kaisey Speck and freshman Adriana Zeger. Year No. 3 will officially begin for the girls team Tuesday, Aug. 21 at Mount Vernon. The following day, the Lady Tigers will host Highland for their first home game of the season. MOAC play starts Monday, Aug. 27 with a trip to Marion to clash with the Pleasant Lady Spartans. After a finish of 0-14-2 last year under head coach John Stewart, the boys team is hoping that the change to Palmer — who will bring along assistant Brad Bowron along with him — will also bring them some luck. They may need it after losing five to graduation in 2017, including second-team all-district, as well as all-conference honorable mention Sam Rigdon. Galion also had Cannon Butler coming up for his freshman year, but, due to a knee injury, he will miss this fall season. Palmer welcomes some important pieces though in 2018, including last year’s MOAC saves leader, Stephen Thompson. Thompson was named to the MOAC second team and district honorable mention squad after stopping 188 shots between the bars in 2018. Markis Lawson returns alongside Thompson as players receiving district attention (also honorable mention). Joining Thompson and Lawson will be Quinn Boland, Clay Karnes, Ben Alstadt, Jason Gutheridge, Hunter Parsley and Devin McCarthy. In addition to the returning letterwinners, Palmer also will have some freshmen with a lot of soccer experience in the likes of Sam Albert, Walker Frankhouse, Kolton Tyrrell and Kennan Walker. Palmer, like Nutt, hasrealistic goals for the season ahead. The boys begin their season Wednesday, Aug. 22 at home against Highland. The following day, they host Lexington before beginning MOAC play — also at home — Monday, Aug. 27 against Pleasant.